Aside from its unusual length, there is nothing immediately remarkable about the Davidson Lab at Stevens Institute of Technology. But in the basement of the building that sits next to the third-base line of the college’s baseball field, a 300-foot long wave tank — built in 1944 – has been a place of remarkable science and discovery that has influenced the fields of ocean engineering and maritime security. The history of the Davidson Laboratory, which turns 75 this year, is steeped in the intellectual pursuits that shaped a generation of scientists and made the country into a naval superpower. Around 600 B.C., Thucydides said “Shipbuilding and seafaring are exacting arts and should not be practiced casually.” Those words have rung true at the laboratory during its proud history. The experiments began in May, 1931. A professor of mechanical engineering with a passion for sailing, Kenneth S.M. Davidson, would use the swimming pool at Stevens Institute of Technology to study scale models of ships. At that point, there were only two tow tank facilities in use in the United States, where scale models of maritime vessels could be evaluated. Davidson and his colleagues wanted to create one at Stevens. 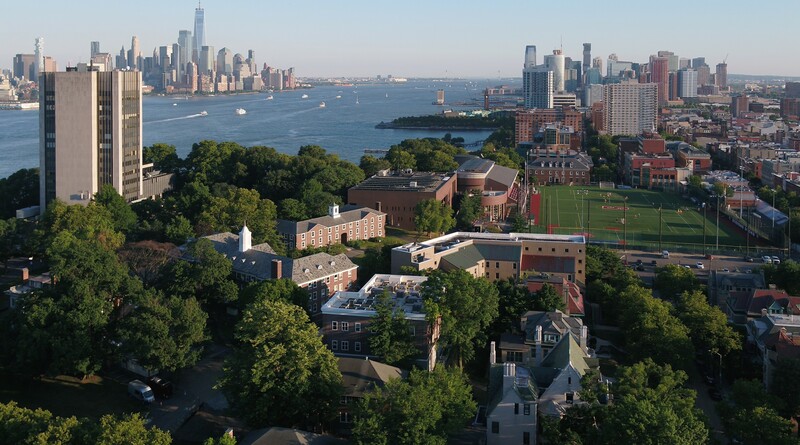 The campus, along the western shore of the Hudson River was – and continues to be – a great place to conduct maritime research. With help from a $4,000 grant from the Research Corporation, as well as individual contributions, the first Stevens towing tank was constructed and opened in 1935 as the Experimental Towing Tank. Measuring 101 feet in length with a semi-circular cross-section having a surface width of 9 feet and 4.5 ft depth, it was used to study sailing yachts. “Ranger” went on to become one of the most successful of the J class, winning the Cup in 1937, bringing acclaim to the designers and to Davidson for his modeling methods. The recognition received by the lab for “Ranger” led to the commission of a wide assortment of experiments on vessels ranging from ferry craft and flying boat (seaplane) hulls to large, destroyer-type ships. The Experimental Towing Tank came into its own and contributed to the history of America in the 1940s, as the country turned its full attention to World War II. By 1942 work at the lab was almost entirely devoted to supporting the war effort, with the facility being used roughly 16 hours a day. As a result of U-boat attacks on merchant vessels, the university and US government officials recognized the need for a specialized facility to study the maneuvering of ships. In response, Professor Davidson submitted a proposal to the National Defense Research Committee of the Office of Scientific Research and Development. They proposed construction of a maneuvering basin on Hudson Street, at the western edge of the Stevens campus. Construction was completed in June, 1942. Attention then turned to the need to better understand seaplane dynamics. This need, coupled with the fact that the first towing tank was now in almost continuous operation, led the university to propose the design and construction of what would be the world’s most advanced and highest-speed towing tank. The new facility, measuring 313-feet long 12-feet wide and 6-feet deep, was completed in less than 9 months! It opened in November, 1944, and by the end of 1944 nearly 45% of the lab’s work was focused on seaplane design. After the war ended, work at the lab continued and even branched out to land vehicles. The so called “soil tank” was constructed in 1950 and, among other things, tested new types of vehicles and evaluated the differences between wheeled vehicles and track vehicles. During this time period, the lab was a primary player in the design of the first modern submarine (Albacore), initiating a research activity that persisted through the 1980s. Shortly after Kenneth Davidson’s death in 1958, the Experimental Towing Tank was re-dedicated as the Davidson Laboratory. In the 1960s the laboratory resumed its “original work” on the scale model evaluations of sailing yachts, while still working on other maritime projects. Through the 1970s and 1980s the laboratory continued to expand its portfolio, studying a variety of maritime vessels and helped develop several revolutionary vehicles, including the Marginal terrain vehicle the lunar rover and the first cybernetically-coupled vehicle. Greater computer analysis was also added to the laboratory during this time. Over the last twenty years the laboratory has also advanced our understanding of marine environmental problems of crucial importance to society in general and the ocean community in particular. The laboratory also works with the Department of Homeland Security and the National Oceanic and Atmospheric Administration (NOAA) on technology that can instantly provide wind, tide, and other data to handheld computers to help the authorities better respond to storms, accidents, and other emergencies on the water. This effort was evident following the recent landing of US Airways Flight 1549 on the Hudson River. At the laboratory’s 20th anniversary in 1955, Kenneth Davidson spoke to an assembled crowd and told the story of a woman, an octogenarian, who was approached by a genealogist who offered to trace her family tree. Davidson summed up his feelings about the lab the same way. If the last 75 years is any indication, some of the best work for the laboratory has yet to be conducted.